Sri Lanka’s economy has witnessed steady growth during the post war years – starting from 2009 the economy picked up the pace with a 7.5% yearly gain compared to 5.5% during the period of 2000-2009. Even with a slight slowdown in recent years, the economy reached GDP of 81.32 billion USD in the year of 2016 with an increase of 4.5% from 2015. This growth combined with substantial investments in infrastructure has led investors to look for lucrative opportunities in the real estate market. So what are the most demanded properties among investors? Recognized as the magnet to local and foreign investments, the Colombo city stands out as the most economically and technologically advanced city in the country. The city has gone through major transformations in terms of its infrastructure and overall economy during the post war period and is now being conquered by a number of large scales residential and commercial developments. Prime examples include Altair Tower rising next to the Beira Lake which is considered to be Sri Lanka’s tallest building, Shangri-La mixed development and ITC Hotel on Galle Face, Capitol Twin Peaks with 470 apartment twin towers and much more. 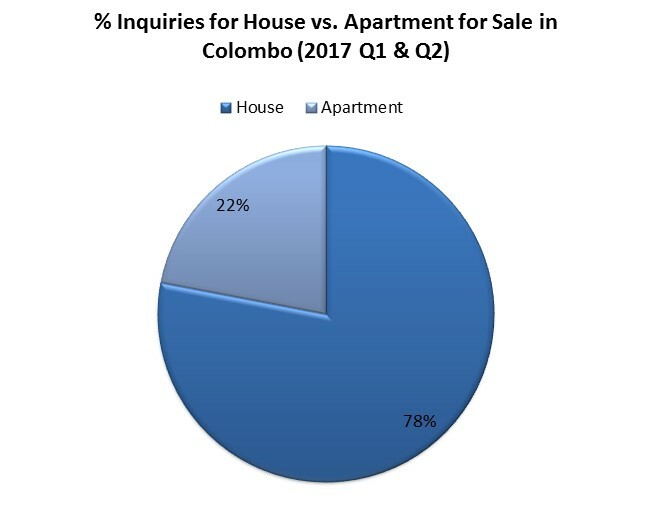 However, even with such expansive apartment developments, according to Lamudi research, the demand for houses for sale in Colombo trumps the demand for apartments and commercial properties. This can be mainly due to the high apartment for sale prices. An individual is able to own a mid-range house in Colombo for an average price of 10M – 20M and a luxury house by spending an average price of 50M – 60M. Mid-range apartments for sale in Colombo indicate an average price level of 30M – 45M while Luxury apartments in Colombo range between 70M – 80M. Real estate in Kandy at present is flourishing with many investors looking forward to investing in the most desired travel destination in the country. The traditional and cultural values, the historical importance and the perfect weather conditions in the city undoubtedly make it an ideal location to establish life. The scenic beauty of the city is a major contributor to Sri Lanka’s 1,010,444 total tourist arrivals in the first two-quarters of 2017 which is an elevation from the 964,267 arrival figure of the same period last year. 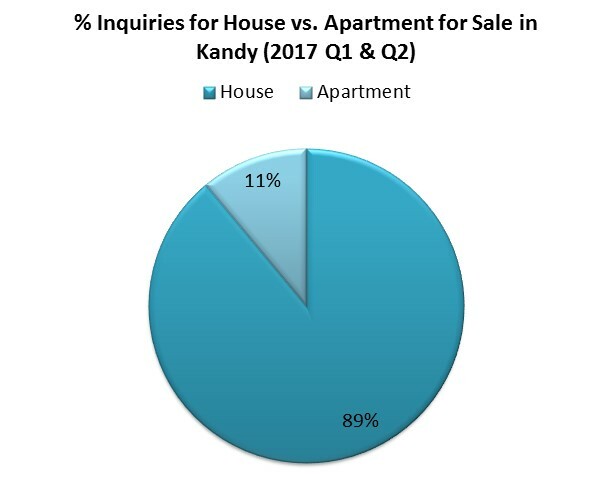 According to Lamudi data, Kandy will become the next destination for real estate investments after Colombo since it is the second prime city that most investors look for to purchase properties. Among the wide range of properties available in the city, the highest demand is for mid-range and modern houses with 3-4 bedrooms for sale. 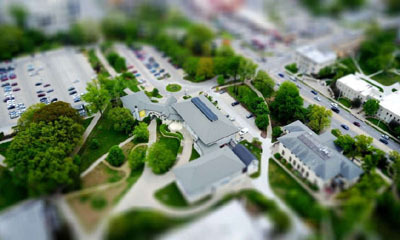 While mid-range houses with necessary facilities range between 5M – 10M, property seekers are able to purchase a luxury house for an average price level of 30M- 45M. Mid-range apartments here range at a price level of 10M – 27M and Luxury apartments with all necessary amenities close to hand at 30M-40M. Located 119km away from the commercial capital of the country, Galle is the center of attention for travelers and beach enthusiasts from across the globe. The city, which was once a fortress for the Portuguese, Dutch and the British, displays stark landmarks of colonial reign and exudes colonial vibes – the Galle fort being the perfect example of this. When discussing the real estate market in Galle, most travelers, both local and foreign are keen in investing in the city due to the long term benefits that can be generated due to its’ perfect location. Its accessibility, high profile and evolving lifestyle factors are leading to increased demand for the city’s beachfront real estate. Mid-range houses for sale in Galle are available at an average price range of 2M – 5M and you can purchase luxury homes in Galle range of 10M-20M. 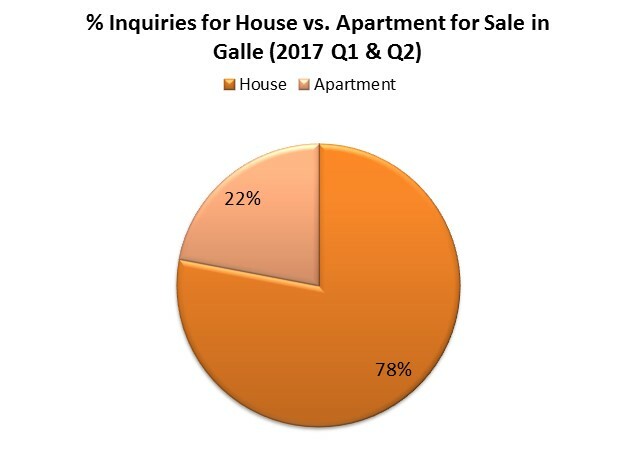 Those interested in purchasing apartments in Galle can purchase mid-range apartments for a price range of 10M -20M, while luxury apartments cost around 40M – 57M.